Emergency Tree Service Available 24/7 | Make an Appointment! Tree Removal – Tree Trimming – Professional Consulting – Free Estimates! When it comes to experience, Gist Tree Service has 30 years of it. Feel confident in your choice to go with this fully licensed and insured family-owned business. Tree removal is never easy. It can be very dangerous for an individual to try to remove a tree from their own property. If they do not have experience with tree removal, many people choose to hire a tree removal service to help them get rid of unwanted trees as quickly and easily as possible. Here at Gist Tree Service, we pride ourselves on being one of the best choices for anyone who is looking for tree removal company. 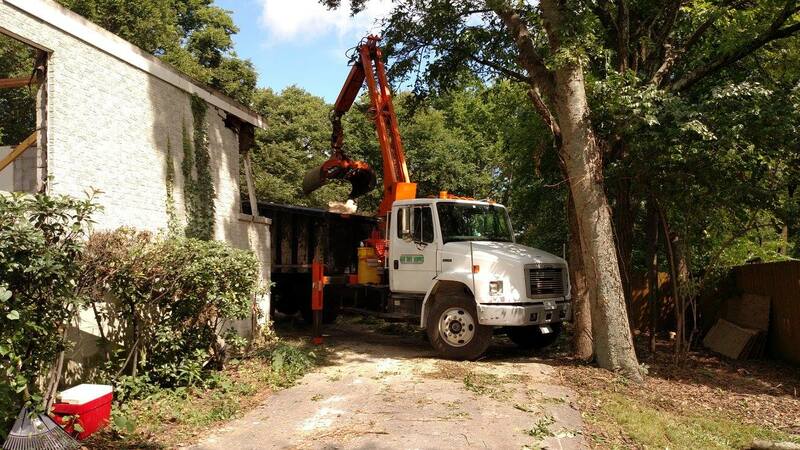 We typically can handle any size tree removal job the same week you call us. We also have a 24/7 Emergency Tree Service available when time is critical, which is sometimes the case with catastrophes or dangerous removals. We have the skills, experience, and equipment for large scale tree trimming and reduction at your home or business, but we also do the smaller jobs. Trimming and thinninga tree consists of removing excess branches and deadwood, which improves appearance and lightens heavy branches for safety, but keeps the shade. from the stump, and replace with fresh dirt to level out the grade. We can also sow grass seed, so in a month or so, your lawn looks like there was never a tree or stump there. Slightly more expensive, but a very nice finished job, with nothing left to do. Our Company’s Abilities Really Stack Up! 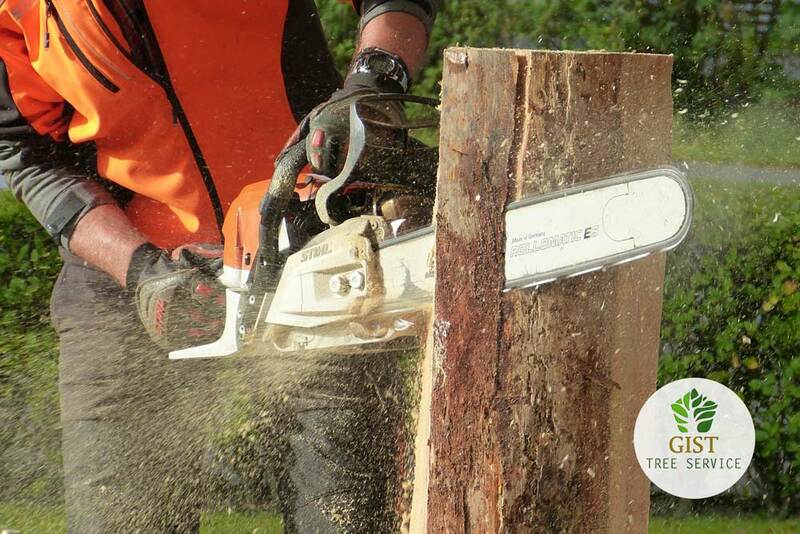 Our experienced cutters and crew trim trees for residential, commercial and municipal properties. We have all the tools to complete jobs professionally. We climb trees using a rope and saddle or use an aerial truck when necessary for all of our tree services. All debris are neatly chipped on site with a large capacity brush chipper and hauled away. Our crews take great pride in the cleanup job by raking and the use of air blowers. We haul the tree’s trunk and branches off of the property so that we can dispose of it in a safe and clean manner. At this stage we can also remove the tree’s stump from the property, but we can also leave the stump in place if the client would like it to remain on their property. It is extremely important that clients hire an experienced and reputable tree removal service to complete the task. Although it is very easy to find companies that claim to offer this kind of service, it can be difficult to choose a tree removal company when several options are available.